Are You a “Shoes On” or “Shoes Off” Type of House? 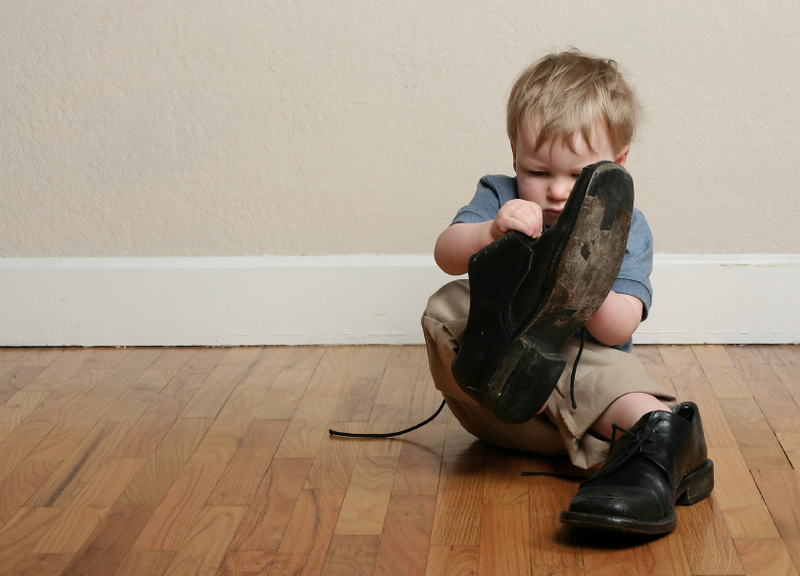 Do you have a “Shoes Off” policy at your house? For many years this tradition was thought to be something only found in the Middle East or Asia. But more and more American families are taking up the “Shoes Off” call in their own homes. Thoughtful Moms are concerned about germs and other things being dragged in from the street: No thank you! Others simply don’t want to see their carefully maintained floors scuffed or dented by the errant stiletto or rough boot. It can be slightly tricky to ask a guest to first take off their shoes before entering your house. We want to be wholly hospitable while still keeping our carpets clean. Here’s a fun recommendation: provide house slippers or socks for your guests! A shoe rack beside the entrance can also help be a hint to your guest to remove their shoes. What about your family? Are you a “shoes on” or “shoes off” type of house? My friend and I really were delighted reading material on this blog post, I was just itching to acknowledge if you share featured posts? I am always attempting to find somebody to make trades with but it’s only an opinion I would ask.